The Deep Minnow Tan and White is one of the famous Deep Minnow series of American designed flies that was created to imitate bait fish. 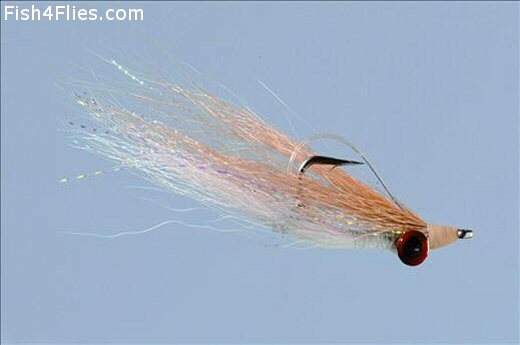 It rides with the hook pointing so does not get snagged very often and as with some other very popular streamers,it has proved to be successful in catching many species of fish in a variety of fishing situations. Currently there are no comments about the Deep Minnow Tan and White fly pattern from other fly fishermen yet.